Many people join associations and clubs for professional development, information exchange and networking. So events can be critical to meeting your members’ expectations. However, in addition to the obvious member benefits, events can also provide opportunities for recruitment and revenue generation (through registration fees and sponsorships). But planning, promoting and executing a successful event can be full of challenges. We’ve all been in the situation where we dedicate a lot of time, resources and energy toward hosting a successful event, only to have a disappointing turnout. So we held a Small Membership Advisory session to find out how our membership peers are overcoming their event challenges. The biggest challenge seemed to be getting people interested and excited about an event so that they actually showed up. So what’s the secret to attracting as many people as possible to your events? Capture email addresses: Capturing email addresses during the event registration process allows you to create an email database of all the people who have at some point registered to attend an event. These are the people who have either attended or shown interest in your events. So having the ability to contact them directly can be very advantageous. Create mailing lists: Email software (like MailChimp) or all-in-one comprehensive systems (like Wild Apricot), can help you segment contacts based on their membership status, event attendance records, donor records, etc. Email blasts: Send out targeted email blasts to these different groups to highlight previous events and provide details of upcoming events. This can be a great way to advertise your organization and its benefits and get more people to sign up and show up. Remember to customize your content so you’re speaking directly to your target audience. In addition to email, there is no doubt that social media is a great way to get the word out about your event. We all want to see that an event page has been “liked” on Facebook, retweeted on Twitter or shared on LinkedIn. This means ramping up promotion of your event via social networks. Start by enabling social sharing: Make it easy to share! If you haven't already, make sure you enable social media sharing on your website. Adding a widget that includes sharing buttons for Facebook, Twitter, LinkedIn etc., will encourage visitors to share that they’ve just registered for an event. Wild Apricot offers instructions to embed the “social gadget” code into our websites. Employ “tidbits”: One participant used the term “Tidbits” to describe social media posts of fun trivia and information about the event that are shared across social media channels like Facebook, Twitter and LinkedIn. This membership volunteer publishes posts periodically in the time leading up to the event to help create some interest and a following. Hashtags: Create a Twitter hashtag for an event to help promote it. Ask members and attendees to use the designated hashtag in all their social media posting to help spread the word. And be sure to include your hashtag on all event web pages, emails, blogs, etc. to help build some buzz. New to Hashtags? See this guide from Twitter: Using hashtags on Twitter. Sometimes it’s best to take a few steps back so you can have a more objective take on what your events are providing your members. Are you giving your audience what they want? Are the goals of your events in line with your organization’s goals? Are your events a real benefit to your members? Our Advisory Community noted that giving their audience what they wanted, was key to attracting people to events and having registrants actually show up. Try asking your members what they are looking for. It may be guidance, education, networking opportunities or practical workshops. Sending out a simple electronic survey (for example, using SurveyMonkey) can give you a clearer picture of what your audience looks like and what they are looking for. New to online surveys? Read our Wild Apricot guide on Getting Started with Online Surveys. 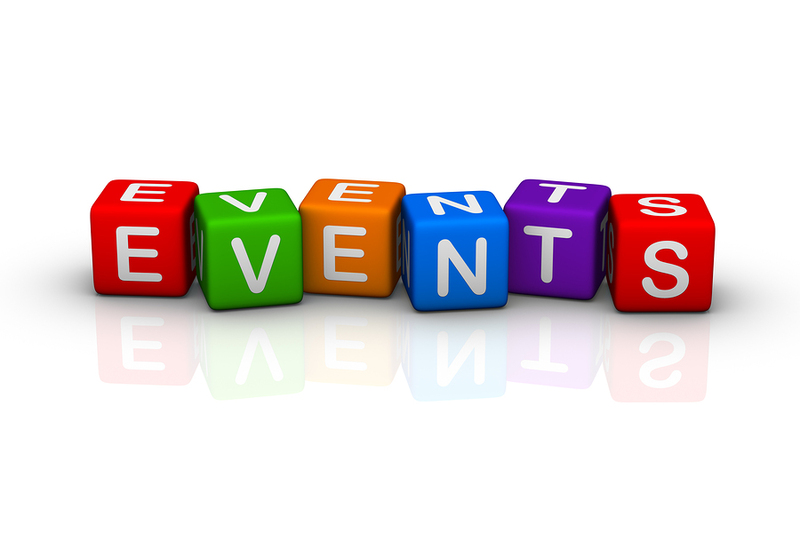 Have a few free events that are open to non-members. Those events will attract many more people, that may not have been interested before, giving you an opportunity to show off your event and grow your email list even further. Take the time to find guest speakers that your members will recognize and be interested in. Use your organization’s network of members to help source suitable speakers. Also, making a little room in the budget for a well known speaker could elevate your event to a new level. In this one-hour webinar, Jeff Hurt will help you discover some compelling conversations around six big disruptive conference changes and their hacks.